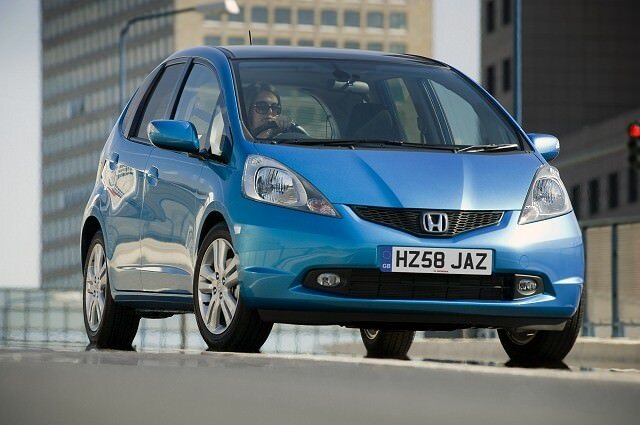 Introduced late in 2008, Honda’s Jazz followed the formula laid out by its popular predecessor. Introduced late in 2008, Honda’s Jazz followed the formula laid out by its popular predecessor. That being a clever use of space: the Jazz’s interior is a marvel of modern car packaging. It sits in the supermini range, competing against Ford Fiestas, Opel Corsas and Toyota’s Yaris, but the Jazz has interior space to rival cars in the class above (its boot is bigger than that in the Ford Focus). Honda has stuck to petrol-only offerings so far, though the Jazz was offered as a hybrid model in markets outside Ireland. It’s always been a bit more expensive to buy, new and used, than other cars in the class, but many think it’s well worth it. Two petrol engines are offered in the Jazz range, either a 1.2- or 1.4-litre. The former offers 90hp, the larger 1.4 adding 10hp to that to deliver 100hp. Neither choice is particularly brisk, the Jazz driver more likely to care about litres/100km than how quickly it can reach 100km/h. Fuel consumption in the 1.2-litre model is just 5.3 litres/00km and the 1.4 matches that, though its CO2 emissions output is marginally higher. Honda offers an automatic version, a CVT (Continuously Variable Transmission) being mated to the larger 1.4-litre unit. Trim levels are SE, SE-I, SE-S and EX. SE comes with the basics, SE-I adds air conditioning, SE-S alloy wheels, rear electric windows, and a two tiered boot, while EX features leather trim on the steering wheel and gear knob, privacy glass, a panoramic glass sunroof and front fog lamps. SE and SE-I are the most common in the used marketplace, while 'Kool' models came with air conditioning. All are reasonably specified and all come with the Jazz’s split folding seats. Honda describes its folding rear pews as 'Magic Seats' and they might just have a point. One touch drops them to the floor, creating a vast load space. Offering over 180 different configurations, the Jazz majors on versatility, it being a comfortable place for four adults to sit too. Reliability is a given, while the interior feels like it will last forever and is refreshingly easy to operate. Honda doesn’t hide the fact the Jazz appeals to older buyers, and it’s not difficult to see why such is its user friendliness. The suspension is a bit brittle on rougher roads, but otherwise the Jazz is a competent - if rather forgettable - car to drive. There’s no need to opt for the 1.4 model unless you’re looking for an automatic, so the 1.2-litre model will suit most. Trim level depends entirely on your budget and expectations, but if you can live without air conditioning then the base level SE model will suit just fine. Kool models offer chilled air, as do those priced above that SE. Honda’s customers love the Jazz for its very clever interior, offering space of the class above in a relatively diminutive machine. Quality is good, though it’s not as comfortable as you might like thanks to the suspension and it’s expensive compared to supermini rivals. It’ll be reliable though, and economy is decent. Well worth a look if you need the space.